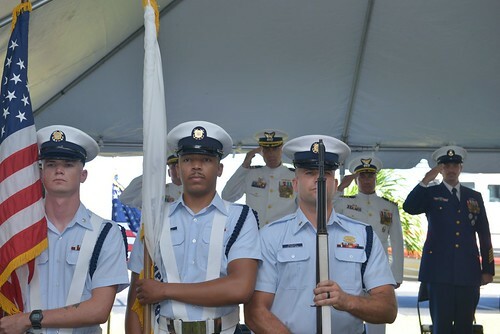 ST. PETERSBURG, Fla. – The Coast Guard Cutter Venturous is scheduled to host a change of command ceremony on Thursday at 10 a.m., at Coast Guard Sector St. Petersburg’s South Moorings, at 1301 Beach Drive S.E., in St. Petersburg, Fla.
Cmdr. Robert K. Thompson will relieve Cmdr. 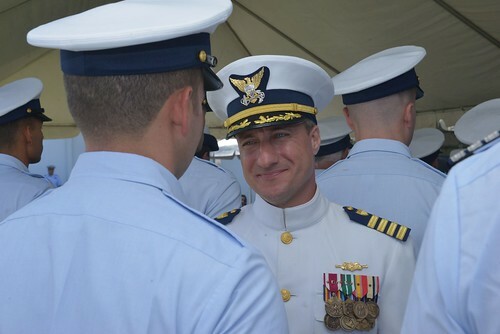 Patrick P. O’Shaughnessy as commanding officer of the Coast Guard Cutter Venturous, a 210-foot medium-endurance cutter, home-ported in St. Petersburg. Thompson graduated in 1989 from the U.S. Coast Guard Academy in New London, Conn., with a bachelor’s degree in management. 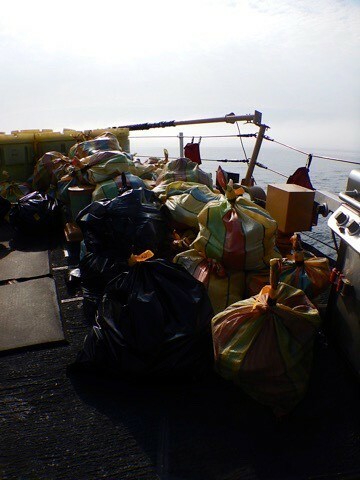 His first assignment was aboard the U.S. Coast Guard Cutter (USCGC) Bear as a deck-watch officer. 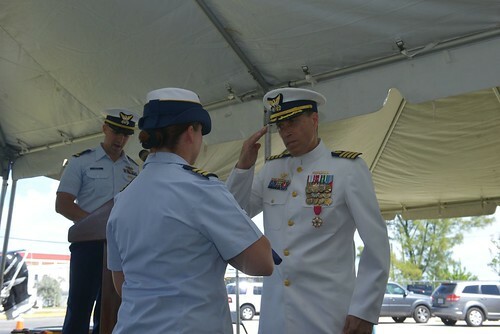 He has served as the executive officer aboard the USCGC Vashon and Resolute, and as the commanding officer aboard the USCGC Chandeleur. 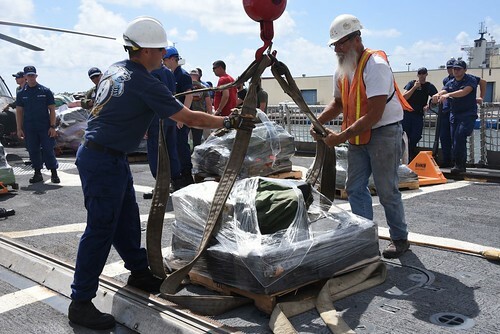 Thompson has also served in the Seventh Coast Guard District Operations Center in Miami, and as a comptroller at Coast Guard Air Station Miami. Thompson’s most recent assignment was at Coast Guard Headquarters in Washingon, D.C., as the Assistant Commandant for Operations Capabilities. 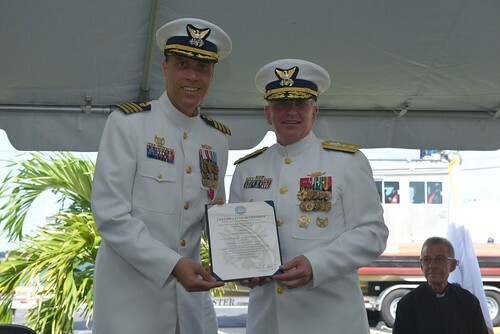 Thompson’s personal awards include the Coast guard Meritorious Service Medal, four Coast Guard Commendation Medals and the Coast Guard Achievement Medal.Thompson earned a master’s degree in business administration from Florida Atlantic University in Boca Raton, Fla. He is married to the former Amy Strickland of Miramar, Fla. Together they have two children: Brittany, 9, and Russell, 6. Cdr. 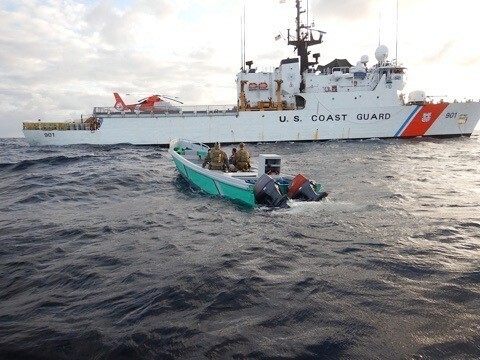 O’Shaughnessy will be retiring and living locally after a successful 20-year career with the United States Coast Guard. He is married to the former Bette Jo Schwieger, who is also a 1983 graduate of Hudson High School. Together they have four children: Matthew, 18, Ryan, 16, Patrick, 13 and Michael, 8. The change of command ceremony is a time-honored tradition preserved by the rich heritage of naval tradition. It is a formal custom that follows military protocol, and is designed to strengthen the respect for the continuity of command that is vital to any military organization. The culmination of the ceremony is reached when both officers read their orders, face one another, salute, and transfer responsibility for the command. 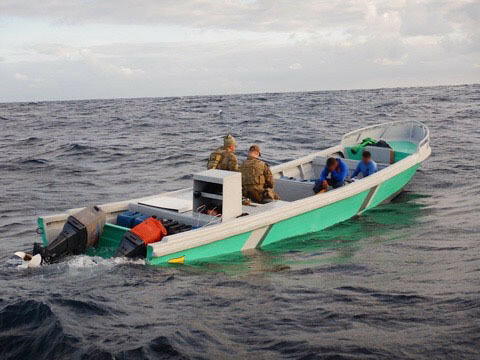 This provides the entire crew with the knowledge that the officer directed by proper authority is taking command and offers an opportunity to witness this transfer of responsibility.